Hillside Lodge and Chalets is set across 20 acres of land and only 15 minutes away from downtown Golden, British Columbia. Its rustic interiors and tranquil environment will turn the wedding of your dreams into an aesthetically pleasing reality. Plus, it offers accommodation for up to 40 people; so think no more and send them an enquiry to check availability! Hillside Lodge and Chalets provides indoor as well as outdoor event spaces for you to carry out your wedding ceremony or reception in. The barn can comfortably seat up to 120 people, which makes it the perfect venue to celebrate small, medium and large-size weddings. Hillside Lodge and Chalets has a large network of trusted local wedding vendors who'll take your big day to a whole new level of sophistication and elegance. From décor to catering to guest accommodation, you won't have to worry about anything. 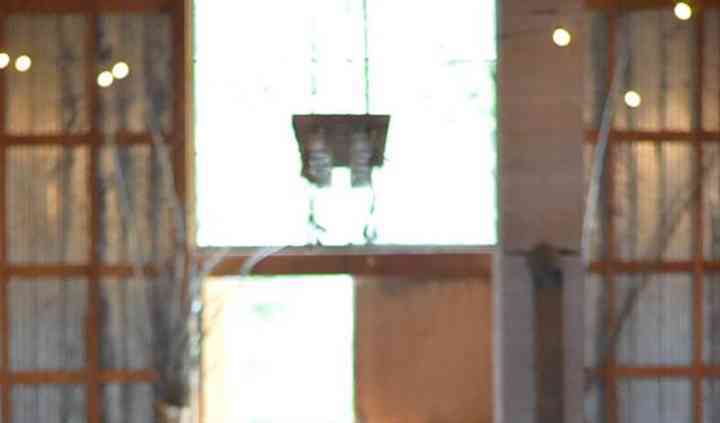 We cannot say enough amazing thing about things about our wedding at Hillside. Not only were we super happy, our guests can't stop talking about it! 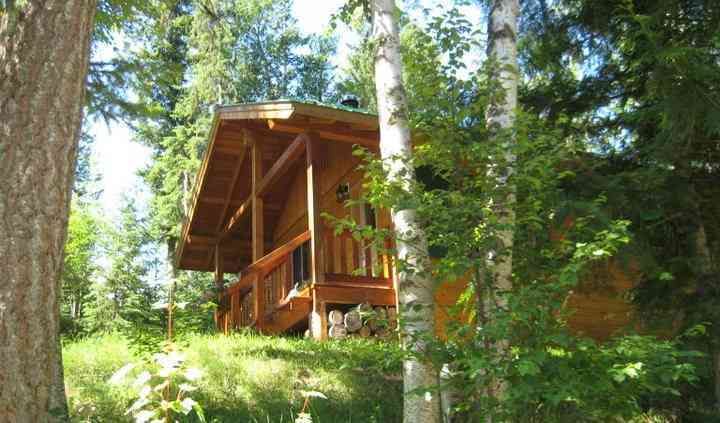 The cabins are cozy and more than 40 of our guests ... Read more were able to stay on site. Mark and Stef were amazing hosts- it felt like we were celebrating our wedding with family- they truly welcomed us into their home with open arms. Every little question they attended to us and were always on site or a phone call away. Not to mention, what venue would take pictures of your day and then compile them into a photo book and send them to you?!? This is truly the best place, with the best people! Highly recommend booking your wedding here- you won't regret it! Hillside Lodge & Chalets was the perfect wedding venue. Stef & Mark (the owners) are the sweetest, down to earth couple. They were extremely helpful with the whole planning process & very patient with ... Read more all of our questions. It’s comforting getting married somewhere where you know the owners are passionate & love what they do. It was the most magical place to get married & we couldn’t have asked for a better wedding weekend. All of our guests could not stop talking about how beautiful it was (we even had one say they’d like to get married there too!). The ceremony site with the mountains & blaeberry river is an amazing backdrop, the field for cocktail hour & lawn games was a huge hit & the barn was an incredible spot for the reception. It was so nice having approx 30 of our guests stay on site with us in the cabins, it turned our wedding into a whole long weekend gathering. If I could do it all over again, I wouldn't do anything differently. If you are thinking of getting married at Hillside, do it! Stefanie & Mark were incredible! So accommodating. 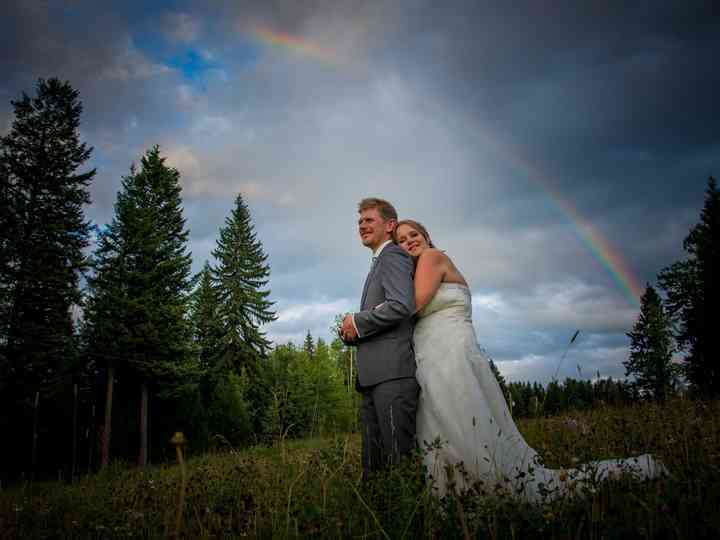 We had our wedding the Canada Day long weekend. The venue was everything we could have dreamed of. We rented the plank wood tables - best decision we ... Read more made - it helped bring the vibe we were going for our reception. The cabins were so cozy and all of our guests still keep talking about the weekend. We loved spending time with family and Friends BBQ and by the fire pits the day after the wedding! We hope to rent out the cabins with family and friends in the future!! LOVE LOVE LOVE Hillside! Beautiful setting, we needed minimal decor as the venue was gorgeous to start with. Golden is an amazing town with some really talented local vendors. Our family and friends ... Read more friends loved having the property to ourselves for the entire weekend. Hillside Lodge and Chalet's is an incredible venue for a wedding. We had our wedding there on September 15, 2018, and every aspect was magical. The owners, Stefanie and Mark are incredibly kind, ... Read more caring, and attentive. We were able to come for not 1, but 2 tours of the venue prior to the wedding. For the actual wedding, it truly is a one stop shop. We were able to have our rehearsal dinner there using the Campfire and BBQ's they had on site and we could set up the reception area the night before. They have multiple cozy cabins, a greenspace for tents and a few trailer areas along with a spectacular honeymoon cabin, so we were able to stay onsite, and our close friends/immediate family/wedding party could stay on site with us the entire weekend. Each cabin has a wood burning fireplace, and they have the cutest little furniture with heart accents cut into the chairs. They have a bridal suite onsite which you can use to get ready which was so handy. 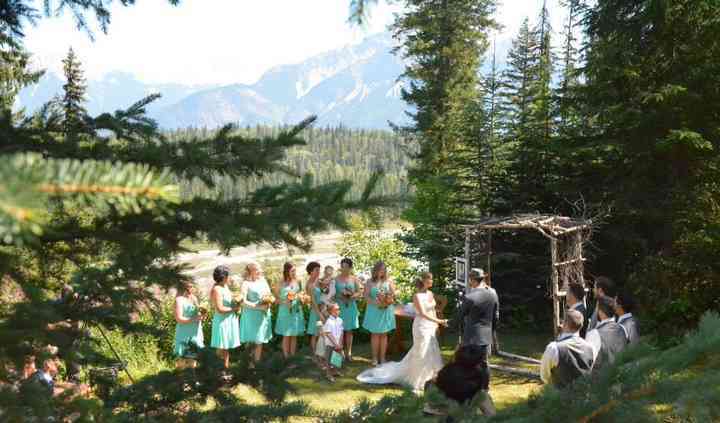 They have a stunning ceremony site which overlooks the magestic turquoise blue Blaeberry river, and has an impressive mountain in the distance. Pine trees surround you and their fresh scent sweetens the air of the entire area. Hillside has a path that leads down the river and includes multiple stunning areas for photographs, meaning you don't have to leave the site to obtain absolutely stunning pictures. 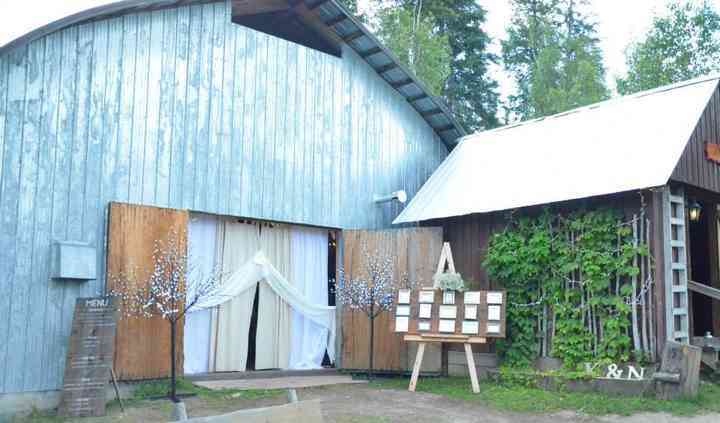 The reception barn is a short walk up the road, so you can go straight from the ceremony to the reception barn. The barn is spacious and has beautiful touches such as chandelier lights, flush toilet bathrooms outside and a campfire pit right outside. 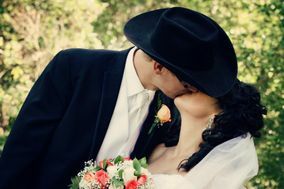 Hillside also has multiple contacts within the wedding vendor community, and they all work so well together to create a seamlessly smooth wedding experience. 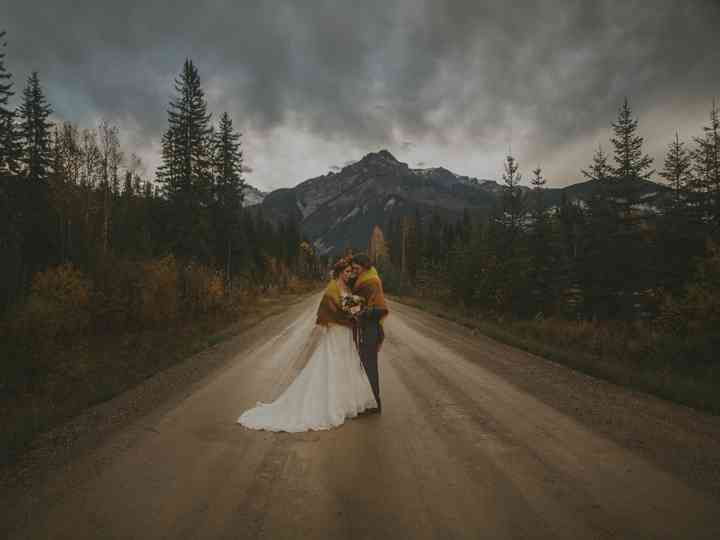 Overall, the beauty of this venue, the attentiveness of the owners to detail and the ability to have everything at one location made this venue absolutely perfect for our wedding. I would highly recommend them to anyone looking for a stunning outdoor venue for their wedding.